Fields: Ford America's chief leads the automaker's effort to match what it makes to what it sells. 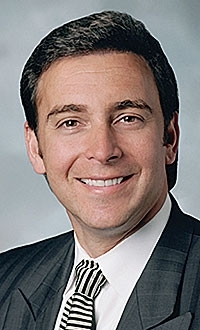 DETROIT -- Five years ago this month, Ford executive Mark Fields returned to the United States from Europe amid great expectations. Fields, who will be a keynote speaker at the Automotive News World Congress in Detroit on Jan. 12, was named Ford Motor Co.'s president of the Americas and was asked to overhaul Ford's failed turnaround plan. Alan Mulally joined Ford as CEO less than a year later, and the two executives formulated and executed a turnaround strategy that worked. Market share has been climbing, and Ford this year posted its biggest first-half profit in 12 years. Fields, 49, has led an effort to match production to demand, thus keeping incentives in check. He also has overseen a series of important product launches, including the Fiesta subcompact this summer. Fields took over his current position in October 2005 after three years in top jobs in Europe. From 2000 to 2002, he was president of Mazda Motor Corp. The 2011 Automotive News World Congress will be Jan. 11-13 during media week at the North American International Auto Show in Detroit.